Seoul, South Korea and Los Angeles, California (August 3, 2017) – CJ 4DPLEX has today announced that 4DX – the world’s first and leading 4D cinema technology for feature films – launched in Austria on August 2. 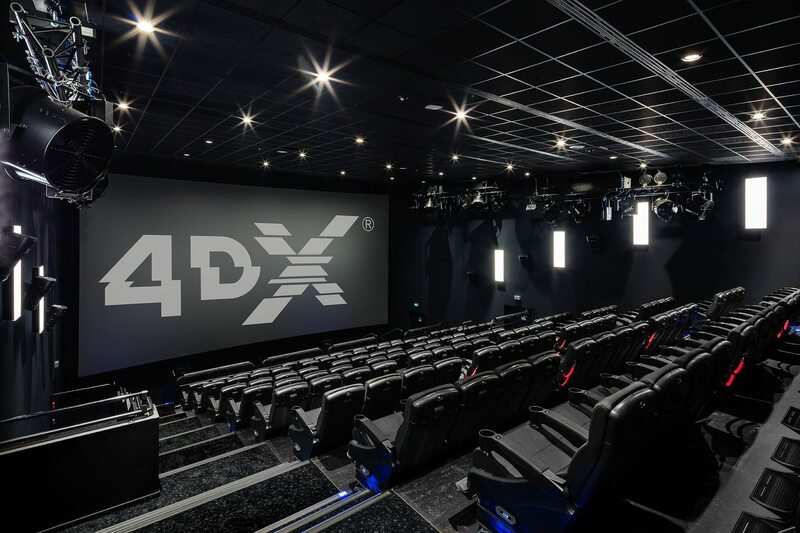 The first 4DX location in the country is opening through a previously-announced partnership with Hollywood Megaplex, as CJ 4DPLEX continues to expand its reach throughout Europe. With this opening, 4DX is now available in 49 countries around the world, and 17 in Europe. Located at Hollywood Megaplex Gasometer – the number one theatre south of Vienna, boasting 15 screens and more than 3,000 seats – the 4DX-equipped auditorium will feature state-of-the-art moving seats and environmental effects such as wind, rain, fog, bubbles, various scents, and more. The first film being shown in the premium format will be “War for the Planet of the Apes,” which has already seen success in 4DX in other markets internationally. CJ 4DPLEX is the world’s first and leading 4D cinema company, headquartered in Seoul with international offices in Los Angeles and Beijing. The company created 4DX, the first and leading 4D cinema technology for feature films, providing moviegoers with an immersive cinematic experience that utilizes all five senses, allowing the audience to connect with movies through motion, vibration, water, wind, snow, lightning, scents, and other special effects that enhance the visuals on-screen. CJ 4DPLEX brings 4DX auditoriums to exhibition partners along with 4DX codes of both major Hollywood blockbusters and local titles. Each auditorium incorporates motion-based seating synchronized with more than 20 different effects and optimized by a team of skilled editors, maximizing the feeling of immersion within the movie, beyond the limits of audio and video. Since 2009, more than 440 Hollywood and local titles have been screened in 4DX. As of August 2017, 48,000-plus 4DX seats operate in 395 auditoriums spanning 49 countries. For more information, please visit www.cj4dx.com.